With an unsurpassed talent for innovative marketing, client service and deal-making, Weston native Avery Chaplin is a next-generation agent focused on modernizing the way real estate is done. By joining forces with his mother — highly successful industry veteran Diana Chaplin — Avery has helped build Chaplin Partners into an undeniable leader, coupling a winning, high-tech approach with a 300-year family history in Weston. Avery has a notable aptitude for creating groundbreaking visuals and online marketing tactics for clients, and his capabilities as a licensed drone pilot, master photographer and deft coder allow the team to operate much more nimbly than others. A skilled people person who thrives on acting as an advocate for clients, Avery first formed his approach to elite client service at his first job as a caddy at the prestigious Nantucket Golf Club. There, he quickly learned the benefits of managing highly charged situations, even if that meant retrieving a customer's thrown club from the nearest water hazard. 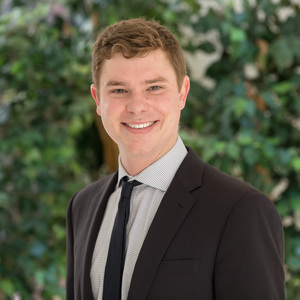 Avery attended Weston Public Schools, The Fessenden School and The Taft School, and he earned a bachelor of commerce degree, with a minor in Chinese, from the John Molson School of Business in Montreal. He has traveled extensively throughout his life and lived in Russia, Taiwan and China, where he learned conversational Chinese. This worldly upbringing forged his appreciation for architecture in all forms, from historic to modern and from grand to humble, which fuels his creative approach to real estate to this day. Avery and his wife Laura are the fifth generation of his family to reside in the 1850 farmhouse built by his great-great-grandfather, and they look forward to raising the sixth generation on the prized Southside Weston estate. When not hard at work, he can be found operating a small farm and bee apiary on the grounds.